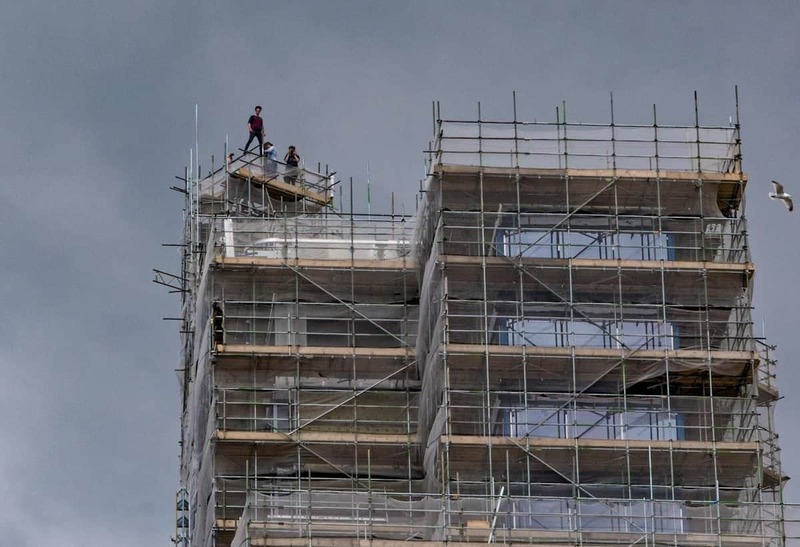 Four daredevils broke into the construction of the tallest building in the South West – and showed off by balancing on one leg. 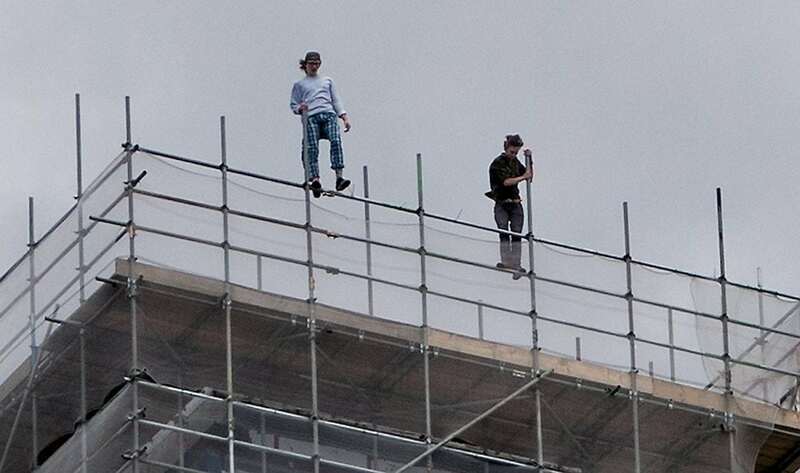 The four thrill-seeking males climbed more than 250ft to the top of the scaffolding on the Beckley Point building. 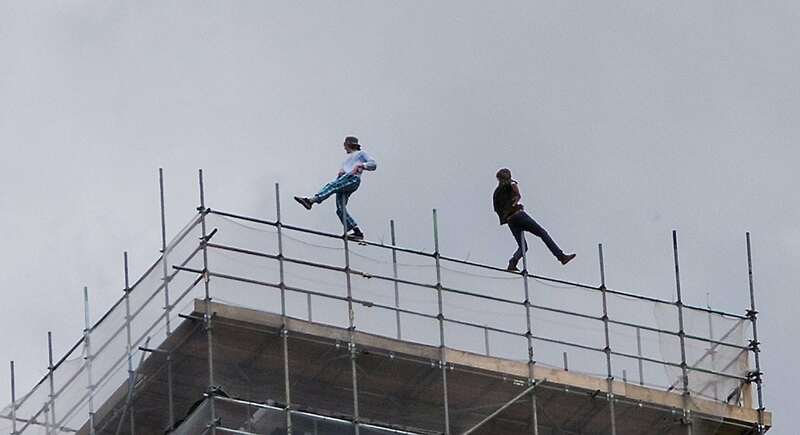 Photographer Ian Caldwell saw the reckless group as he passed by the site in Plymouth, Devon on Sunday. The high-rise development is currently under construction and will soon be student accommodation. Builders Kier Group said they immediately went hunting for intruders when they became aware of the trespassers on the site which was closed for the day. A spokesman said: “Our security team was patrolling with CCTV and immediately sent a team to site when they became aware of intruders. It is unclear whether the group was “rooftopping” the 22-storey building to take photographs. Devon and Cornwall Police said it was aware of the incident. But after the picture appeared on line shocked Plymouth residents took to Facebook to condemn the intruders. Lynn Blackmore called them “stupid idiots” while Clare Jessep added: “I can’t even look at them pics without feeling sick”. 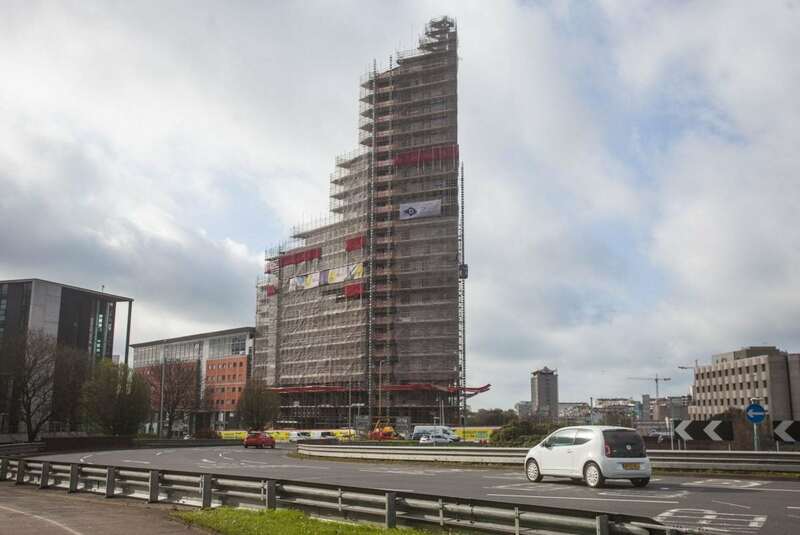 The building will provide 500 flats for University of Plymouth students when completed later this year. This happens every day on every site around the country! This is why they have security patrols in there! You can’t stop them! It is in our nature to climb to highest platforms to be closer to the sky!